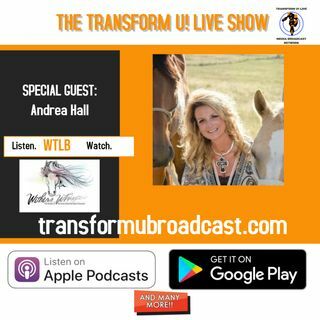 After being a high powered criminal defense attorney for 13 years Andrea Hall had become really ill. Hall was diagnosed with a brain tumor and had to have emergency brain surgery. She vowed if she survived and it wasn’t cancer that she would do something different with her life. So she became a certified equine gestalt coach. She now work with couples and lawyers. Andrea talks about what the horses and her can offer us. Andrea Hall has two books coming out in the next month that I am ... Maggiori informazioni super excited about. "Living Your JOY" Creating A Joy Filled Life by Joyce Graham. Her story is called “For the love of horses!” and “Touched by a Horse Equine Coaching Stories” Anthology.